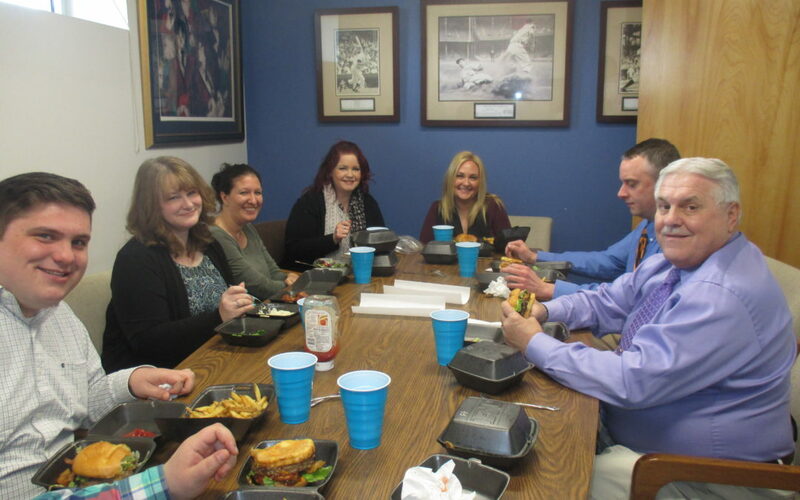 The Shrewsbury office had a great time today with our Allstate rep, Jaime Tucker. Thanks, Jaime, for providing lunch & joining in the camaraderie. Pictured are: Corbin, Chris, Mandy, Jackie, Jaime, Jeff & Bob.